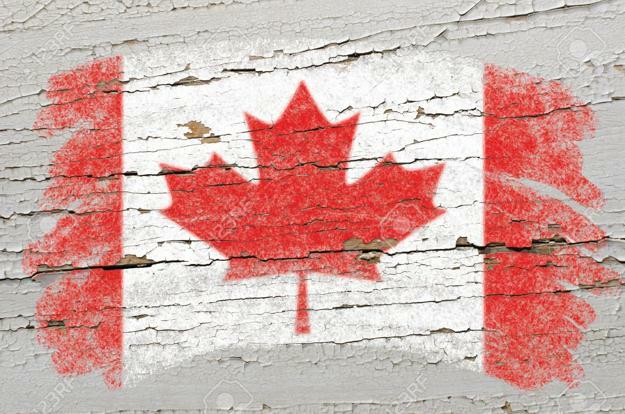 Bright red and white are the national colors of Canada. A sugar maple leaf is a beautiful symbol of the country celebrating its nature and environment. Together, they give fabulous inspirations for adding vibrant home accents and blend festive vibe, stylish design, and natural motifs into bright, cheerful, patriotic decoration. 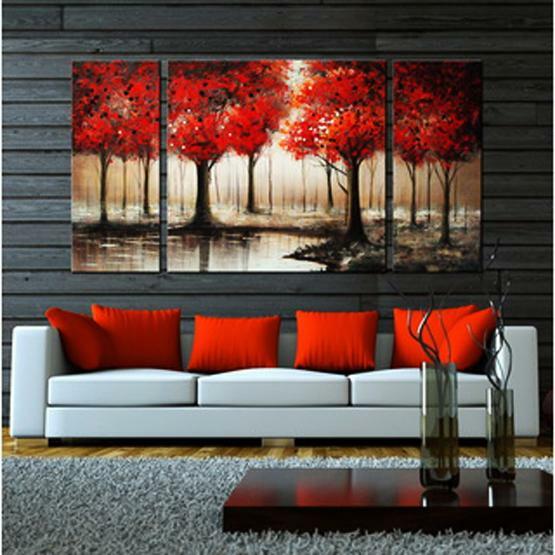 Lushome collection of interior decorating ideas and home accents in red color shows how to brighten up Canadian homes by using furniture, decor accessories or art for red and white, creative and patriotic decoration. An accent color is an essential element of design and decorating. Bright home accents can change a mood and transform modern homes effortlessly and quickly. 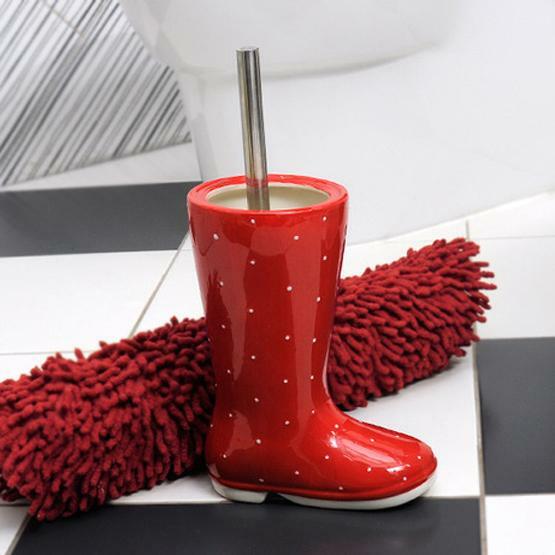 You can use various home furnishings in red color to jazz up your everyday decor or add dazzling details to your patriotic decorations on July, 1st. 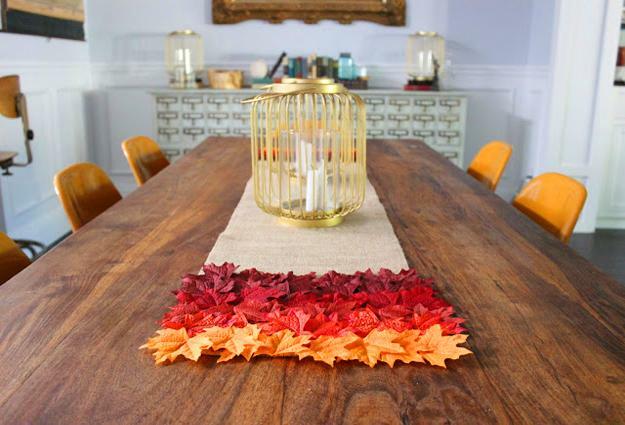 Maple leaves and bold red colors are powerful ideas that create dramatic changes. Red accents and maple leaf patterns work with all existing decor ideas. A bit of red color tends to create eye-catching accents, lift the mood and bring warmth, excitement, and energy into homes. 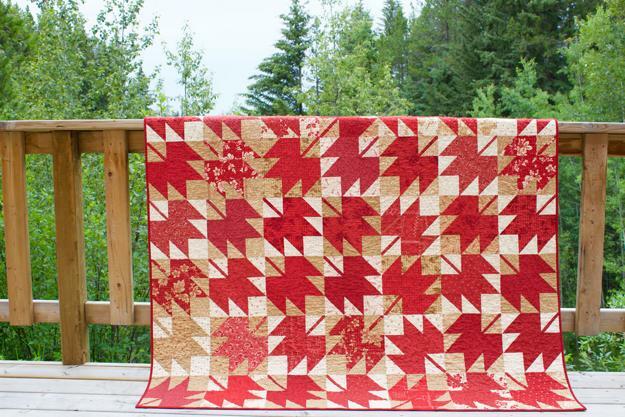 Here are some uncomplicated, but stylish and creative ideas on the use of red accent color and maple leaf patterns to make a difference to any room in your home. Red is a very powerful color, and red-white combinations look brilliant offering fabulous color design for patriotic decoration and refreshing home interiors. From the fury of red to passionate pinkish red, crimson blood and dark red colors, the bold accents immediately energize and stirs us to action. Interior decorating with red color accents is exciting and festive, perfect for patriotic decoration in the middle of summer. Sugar maple leaves are beautiful and inspiring. 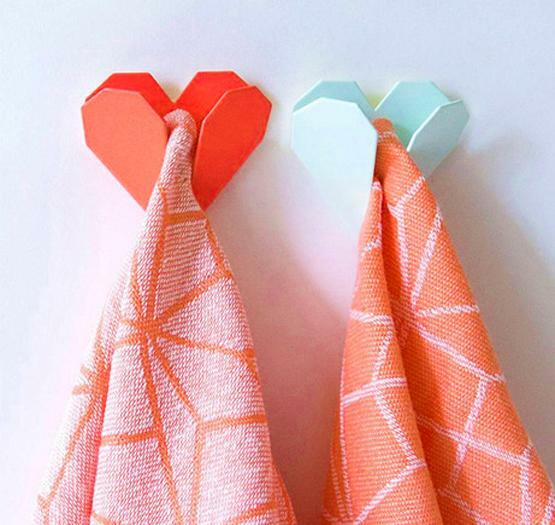 They offer gorgeous decoration patterns and can help any space, adding geometry and unique designs to interior decorating. 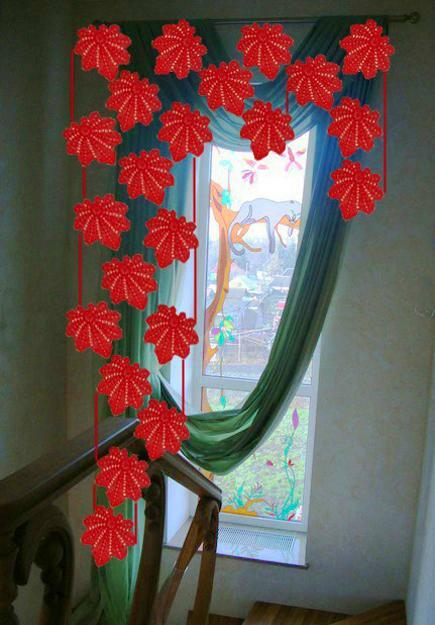 The best use of red color is as an accent, and the maple leaves balance the dramatic color connecting interior decorating to nature. 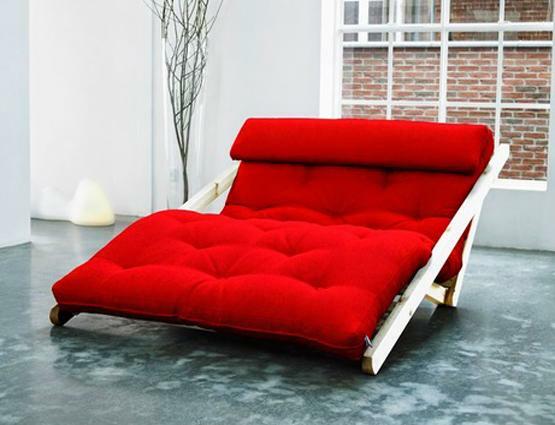 Small, tasteful red items invigorate modern interiors, add character to room decor and make a statement. 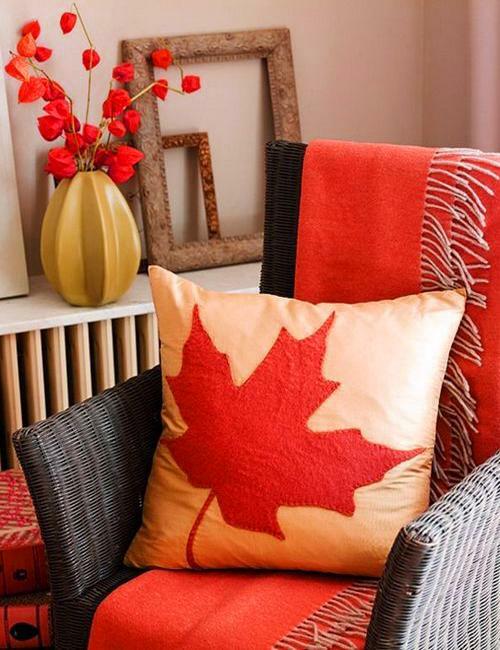 Check out the ideas for using red hues and maple leaf patterns in a stylish way to emphasize your patriotic decoration or add passion to your rooms. 1. 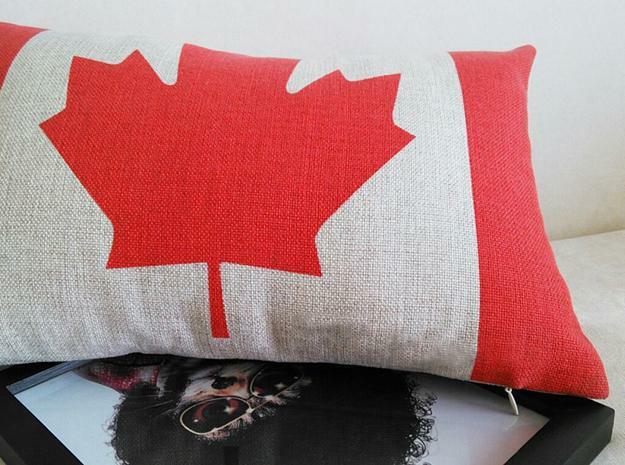 Artworks inspired by the Canadian flag. 3. Appliques and embroidery designs. 4. 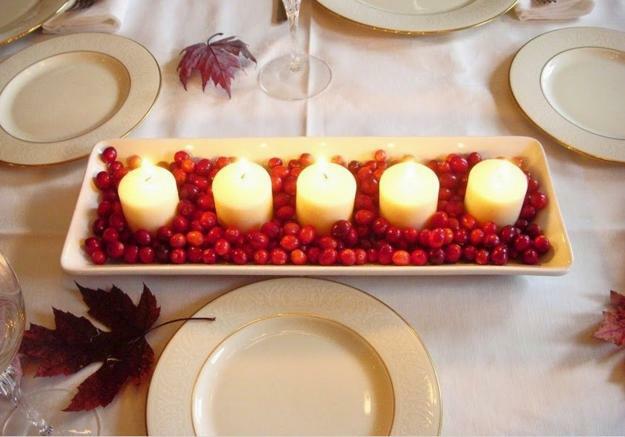 Red and white candles centerpieces with berries. 5. 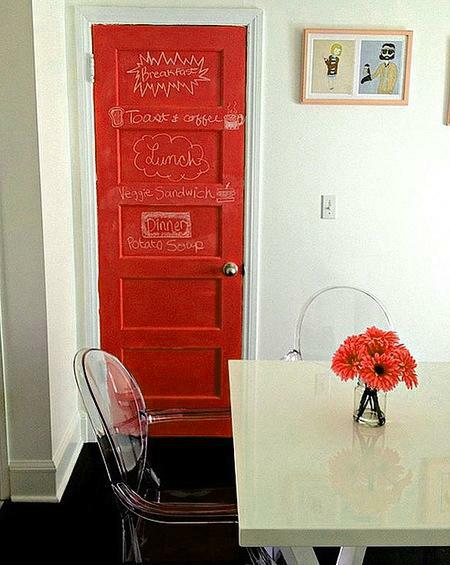 Accent door or wall painting ideas. 6. 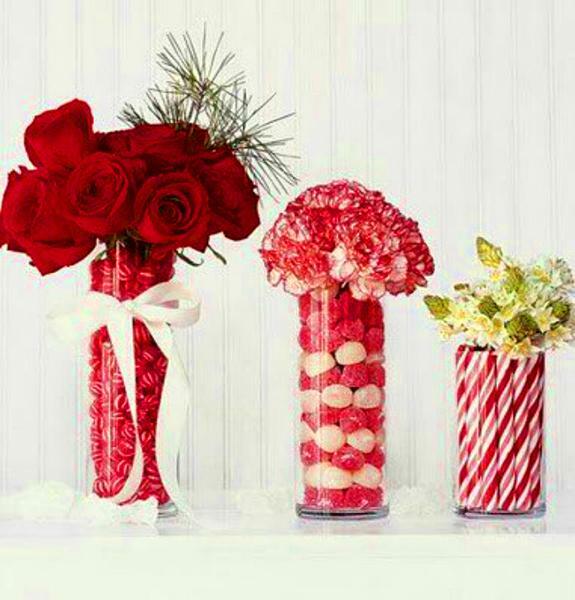 Fabric and paper crafts for table decoration. 9. 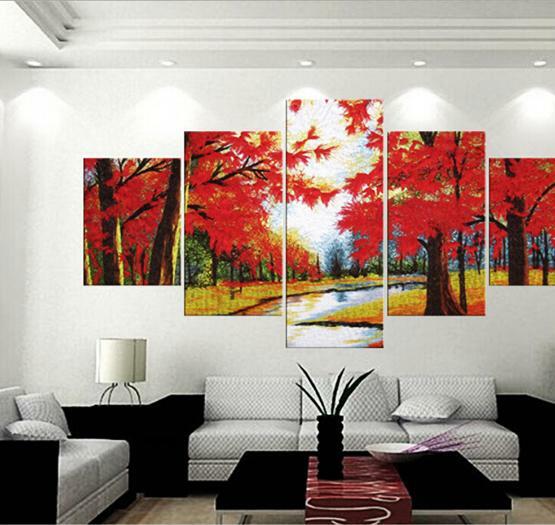 Digital prints for wall decoration. 10. 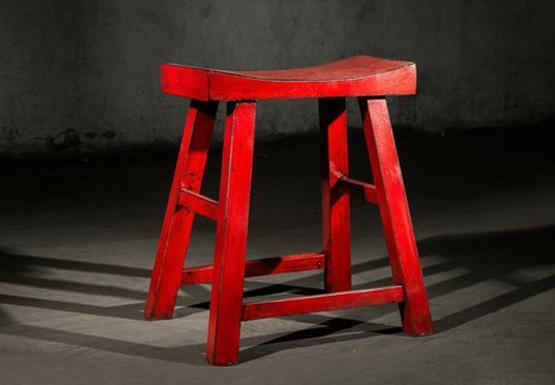 Wooden furniture painted red.